Home » ARSENAL CORNER » Aubameyang Transfer: Will Arsenal Negotiating Tactics Work? Dortmund is not Happy, Arsenal Bidding its time. Aubameyang Transfer: Will Arsenal Negotiating Tactics Work? Dortmund is not Happy, Arsenal Bidding its time. Skysports broke the news today that Arsenal is not prepared to include Olivier Giroud in the deal, and has now ruled the possibilities of including the French man as a make-weight either on permanent or on loan. 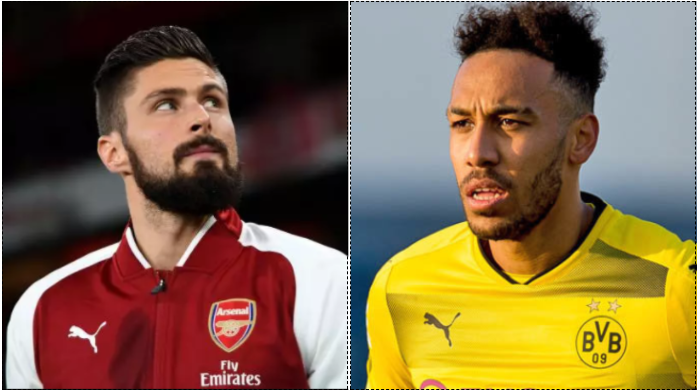 It is believed that Dortmund are only willing to sell their top striker in January if they can find a replacement, they have in the past attempted to sign Olivier Giroud and also asked if he could be part of the deal this time. The main stumbling block to a deal is Dortmund’s valuation of Aubameyang, Arsenal has had two bids rejected so far, the two deemed too short of their expectation. The German side has also expressed their irritation at Arsenal slow negotiation tactics, Arsenal, on the other hand, are banking on the player’s desire to quit Dortmund. Arsenal playing a hardball on this with under 6 days remaining, although Arsenal is expected to return with another bid, this negotiation looks like it will go down to the wire. A similar scenario to the pursuit of Lemar, Arsenal had been tracking Lemar even when valuation of £50m was expected to be enough, but Wenger was reported to suggest that was too much, the club eventually submitted a bid of nearly twice that on the last day of the window, that last minute attempt ultimately fail as there was no sufficient time to sort paper and medicals out. Aubameyang situation is slightly different, he is a known quantity, despite his exploit, his disciplinary record and price tag seems to have put a lot of suitors off, leaving Arsenal alone to negotiate with Dortmund, if another club show up towards the end of the window, like Liverpool did in the Lemar’s case, Aubameyang price is very likely to go up and Arsenal may be forced to either pay more than the current price his club is prepared to sell or abandon the pursuit altogether, an outcome that will unsettle fans. Last minute rush to close this deal may also be deemed inappropriate by Dortmund as they would have no time to identify and put in a bid for a replacement, which means they may put a stop to the deal altogether.